How can I find the difference between points of two matrices if the indices do not match? Hi you all, I am trying to find the difference between the x values of two n by 2 matrices, and the differences in the y values of the matrices. For each matrix the first column correspond to the x values, and the second column corresponds to the y values. They have the same size, but the indices of the x and y coordinates are not the same, which can be specially troublesome with the approach I was taking in substracting the x values and y values to findsthe difference. I attach a screenshot of the plot,in case it helps. 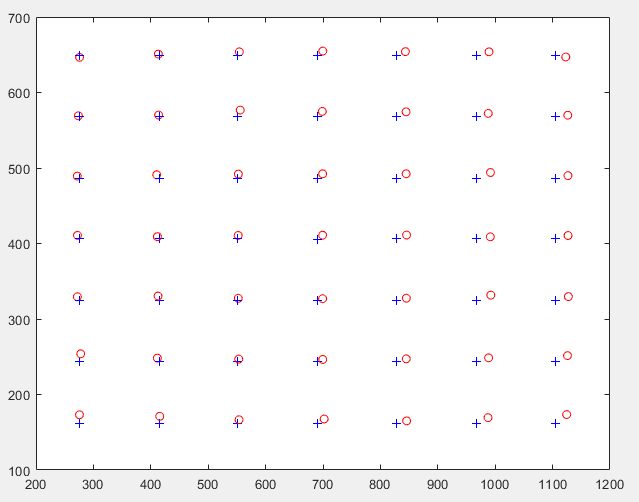 pdist2() and look for the minimum distance. Or, sortrows() both of them and assume that they match up after that.